Like any modern exploration game, Valiant Hearts is absolutely teeming with little easter eggs that you can completely skip if you wish. In this case they take the form of 'historical items', novel tidbits that create a better picture of life during the Great War. 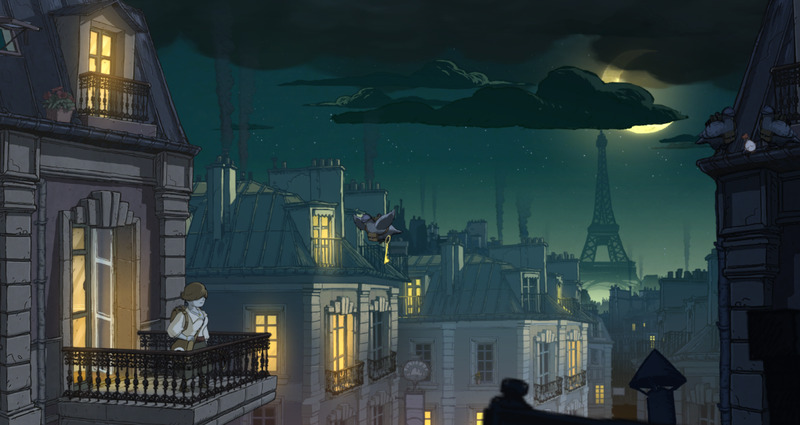 They're found in almost every level of the game, save the taxi runs and the very last level, and completionists will want to search high and low to find them all. 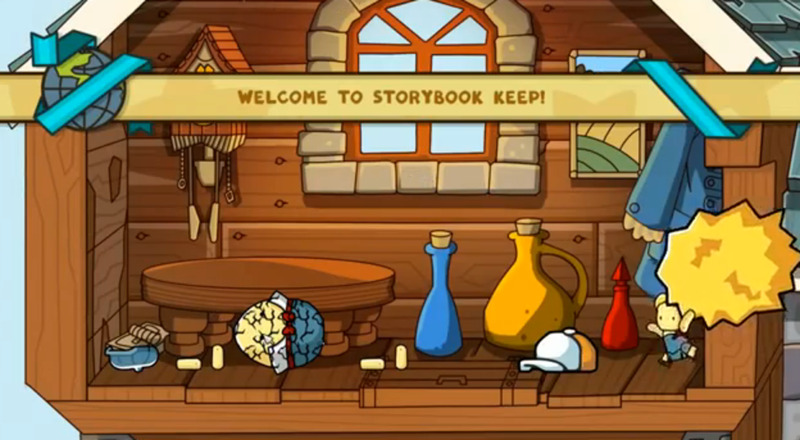 Below is a listing of the historical items located in Chapter One. German Helmet - Found during basic training. After destroying a dummy with a grenade, search it for the Helmet. Tinder Lighter - Look to the right of the flagpole at the end of training, before raising the flag. Stationmaster's Whistle - Found in a bell attached to the locomotive, beside the cabin. Hurl a wine bottle at the bell to knock the Whistle onto the ground. Letter from a French Soldier - Look for a French flag on the side of the tracks, flanked by stacked rifles. The Letter is to the left of the flag. Metal Nib - Once you've climbed on top of the train, walk to the far right end to find the Nib. French Identification Tag - Immediately after starting the level, look to your left. The Tag is laying on the ground. Gold Button from a French Uniform - Proceed through the level until you find sandbags that need to be destroyed by a grenade. The Botton is at the bottom of the ledge leading up to the sandbags. HQ Map - Partway through the level is a bridge you must destroy with dynamite. Upon reaching the bottom of the bridge, check to your right to find the Map. German Cartridges - Shortly after destroying and leaving the bridge behind, check the ground for the Cartridges. Embroidery - Make your way to the large building at the end of the level and get up to the second floor. If you bash through the wall on the right you'll find the Embroidery sitting outside. A Letter from a German Soldier - Climb to the roof of this same building. Look for a bell up here that you rang a short time ago. The Letter is sitting atop the bell. 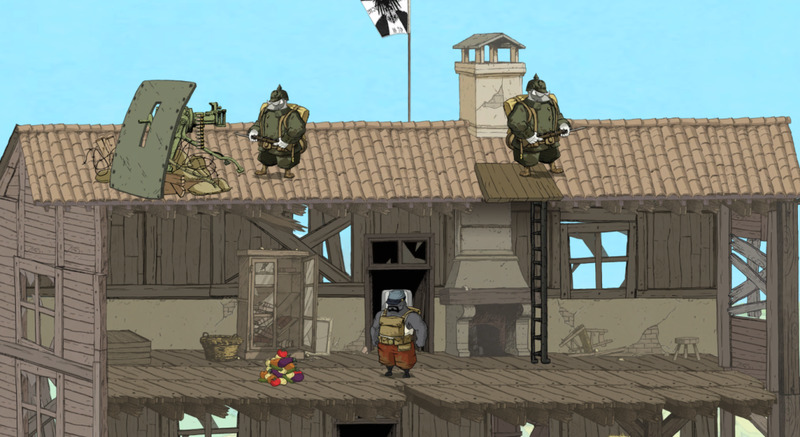 Freddie sneaks through a German-occupied house in Valiant Hearts. Photo Frame - Enter the kitchen to your left. Check the far left side of the interior for the Frame. Valiant Stories Contest Memorabilia - Proceed through the level until you reach diggable dirt that's littered with bombs. Go down the nearby ladder and dig through the wall on your left to find the Memorabilia. Crucifix - While underground you'll see a wall on your right that's partially littered with bombs. Dig lightly through it twice to reach the Crucifix. Compass - Near the end of Emile's part in this level you'll find a huge digging section that's littered with bombs. Dig carefully up and to the right here to reach the Compass before continuing downward. French Coins - Run through the level until you find a cave with a long slope that leads to a dynamite-related puzzle. 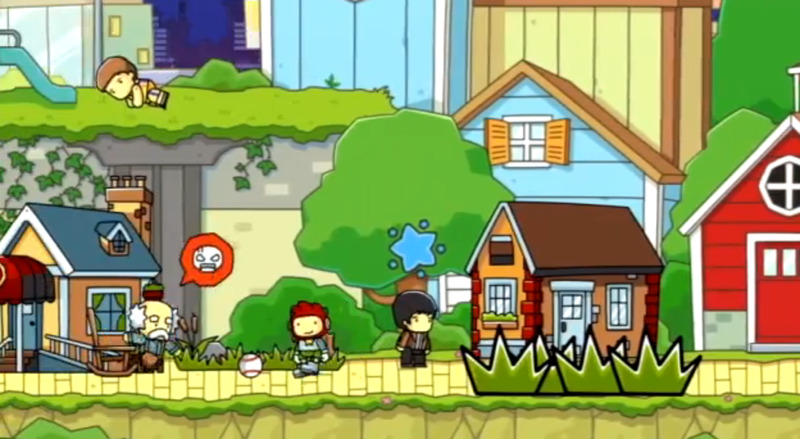 Check the ground for the Coins before approaching the puzzle. The Khukuri Knife - After blowing your way into a German turret emplacement from below, check the bottom floor for the Knife. Do this before climbing up the floors or you'll kick into a cut scene and lose your chance. Canadian Identification Tag - Near the beginning of the level you'll wind up beneath a bridge where you'll find a box-lifting puzzle. Lower the hook here to grab a box, then lift it and climb across to reach a small platform to the left. The Tag's on the platform. Urine Soaked Cloth - Found in the chamber with the large chlorine gas generator, on the far right of the ground floor. Letter from a Canadian Soldier - After destroying the chlorine gas generator and rejoining the other troops, march in the opposite direction and wait for the dog to sniff out a dig spot. Gas Canister Deployment Strategy - After being forced to escape falling bombs and fleeing into a cavern, hunt around on the floor for the Strategy. Belgian Shako - Part of completing this section requires lifting the dog into a basket. Once you've located said basket, have the dog dig the dirt right beside it. Pocket Watch - Late in the level Emile will be joined by Freddie underground. Once he does and he snips through some barbed wire, check the ground for the Watch. Grab it before leaving this cavern, as you're forced to run immediately after leaving. 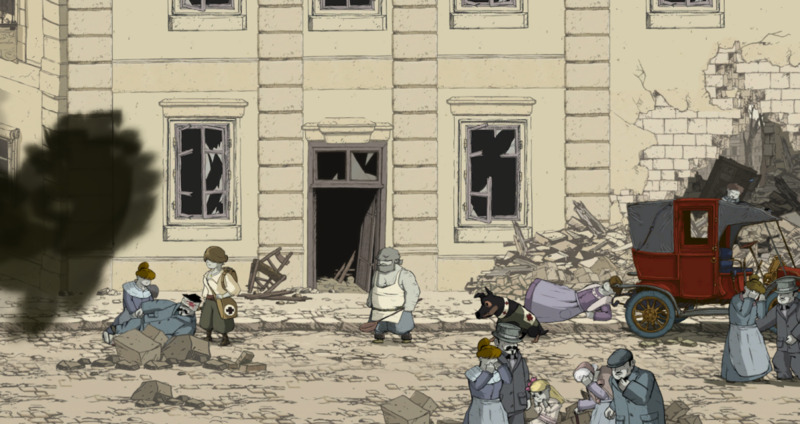 Emile picks his way through the crumbled streets of Reims in Valiant Hearts. Periscope - Once you reach the section of trench with the large patrol of rambling soldiers, wait for them to move to the right and head left to their starting position. The dog can slip beneath a barrier on the far left and grab the Periscope. Infantryman's Flask - After escaping the rambling soldiers and climbing into a hole, dig into the wall on your left. Vial of Nevrosthenine - Partway through the level, shortly after rescuing a wounded soldier, you'll find a small room buried behind debris on your right. The Vial is atop stacked shelves inside. Bash the shelves to knock it down. Letter from a German Soldier - While underground you'll find a room with a diggable left wall that leads to a box of wine bottles. Check amid the barrels on the right side of this room for the Letter. Tin of Sardines - In the same room where you find the broken lever handle, shortly after knocking out a German guard. British Coins - Near the end of the level the dog will have to slip under a wall and grab a set of keys for you. The Coins are on the ground near the keys. Safety Razor - In a cupboard on the second floor of the building to your right, where you have to save a man who's trapped by manipulating lifts. Send Emile up once he's saved to grab it. This thing is really small and easy to miss. Trust me, the cabinet is not empty. Advertising Brochure - Buried in the road near the gathering point of the French citizens, not far from where Anna's standing. Overalls - In the basement of the building on the right where you found the Safety Razor. Look on the left side of the hallway, opposite the dumbwaiter. War Godmother Certificate - Near the building on the left side of the street. After saving the man trapped on the balcony, send the dog over a second time to check the spot where he was huddled. Early Gas Mask - In a cabinet in the same building as the War Godmother Certificate. Check the right side of the second floor. 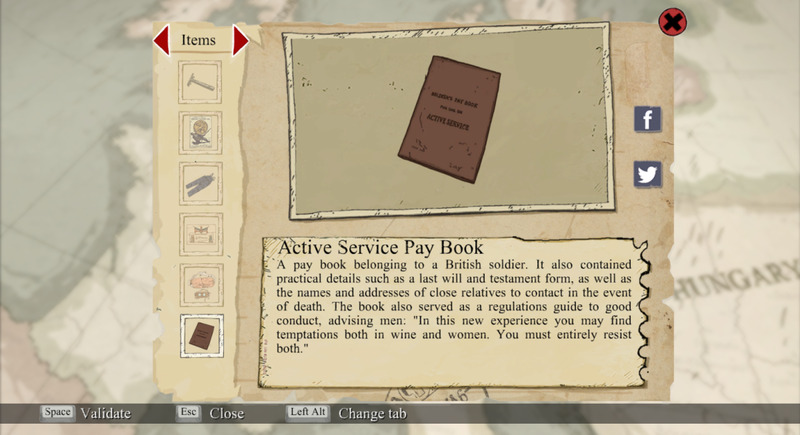 Active Service Pay Book - Near the end of the level you'll wind up in the same underground tunnel where Freddie started. Check the left side of the tunnel before going topside to find the Active Service Pay Book. It won't be there when Freddie's down here.